Best “How To” Fishing Tips for better Trout Fishing.Trout live in the most beautiful places on Earth, Michigan is no exception. We are blessed with hundreds of miles of gorgeous trout streams. 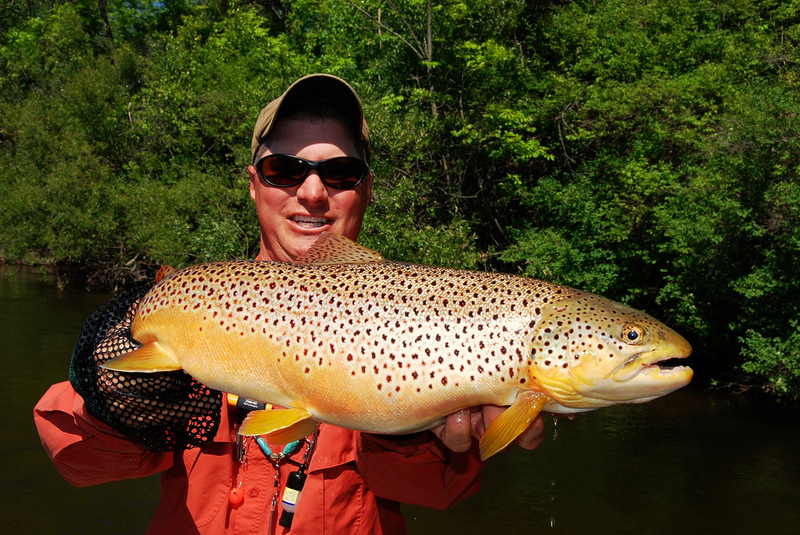 The Muskegon River, Pere Marquette, and Big Manistee Rivers offer the some of the best trout rivers in North America. Exquisite beauty, excellent Trout fishing and gorgeous scenery. 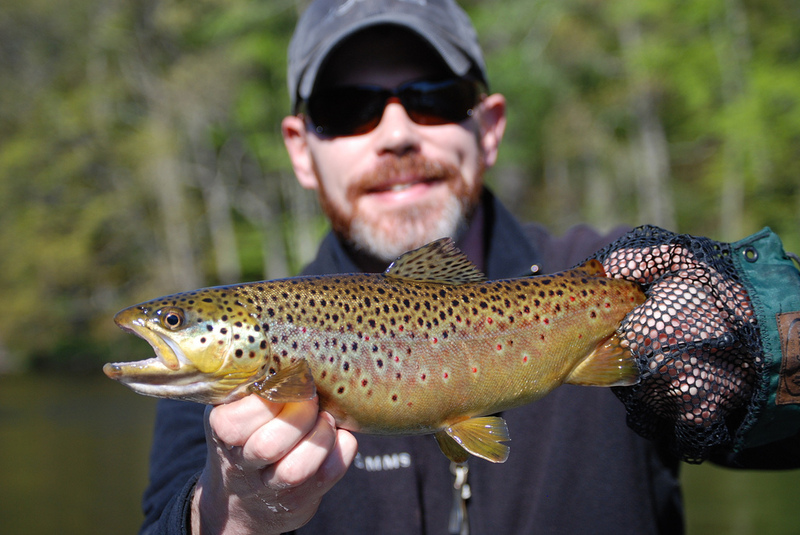 We will discuss some great tips on how you can catch more Michigan Trout Fishing. Have a small tackle box labeled for trout fishing and only keep trout fishing lures in that box. That way, you are not distracted by a giant lure selection. Stick to trout lures that are tried and true on your local trout streams. Some on the most simple lures for trout are deadly effective. Small spinners for trout are an excellent choice. Mepps, Panther Martin, Rooster tail spinners are top notch for trout in Michigan Streams. Small Crankbaits also work very well. Rapala’s and small Rebel crayfish crankbaits are excellent. Stick with natural colors. You’ll also want to have plenty of spare hooks and split shot. Small streams go through a lot of terminal tackle. Location – Location. 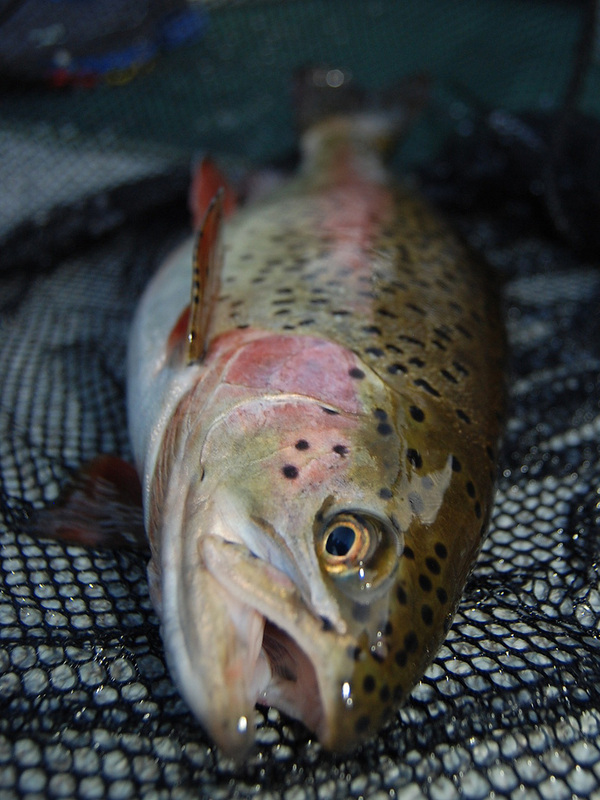 One of the biggest keys to great stream trout fishing is location. Try to get some local knowledge on this subject. 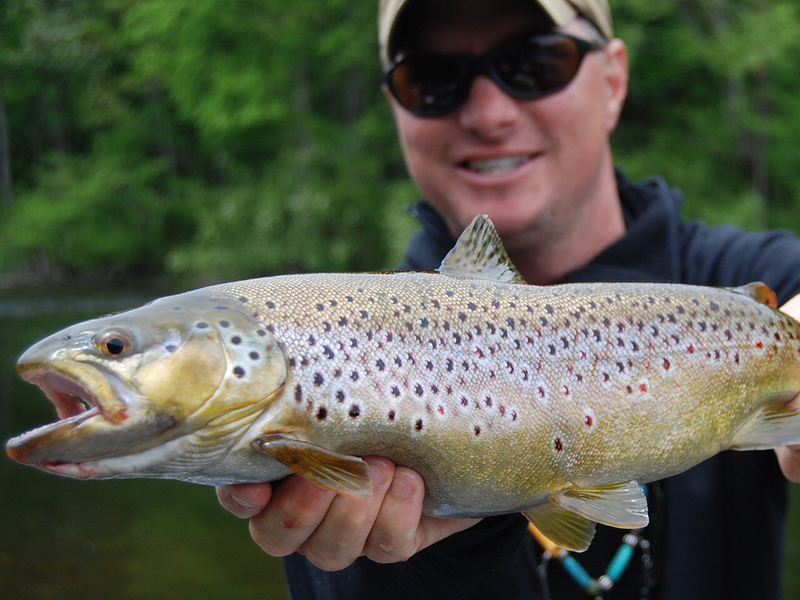 Ask people that you know, where may be some good trout fishing spots? Michigan Trout Guide or a Michigan plot map may also be a good start. 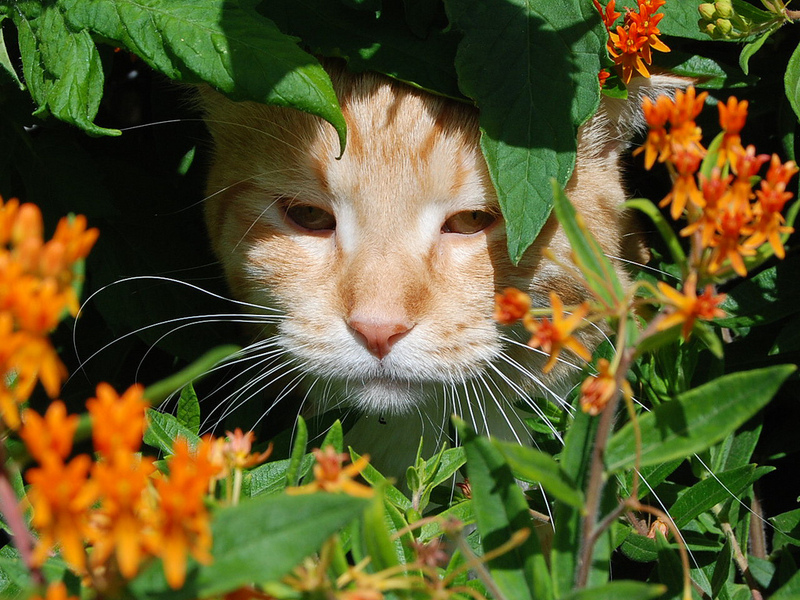 It gives you locations of streams and whether is public or private property. Google Earth is another great way to check out trout streams. It’s even so detailed that you can actually see colors of depth changes for holes and riffles. Decide whether you’re going fly fishing or using spinning tackle. Don’t bring both! I know this seems odd but one thing huge that I’ve noticed in guiding, when clients try to use both techniques, they rarely catch anything. 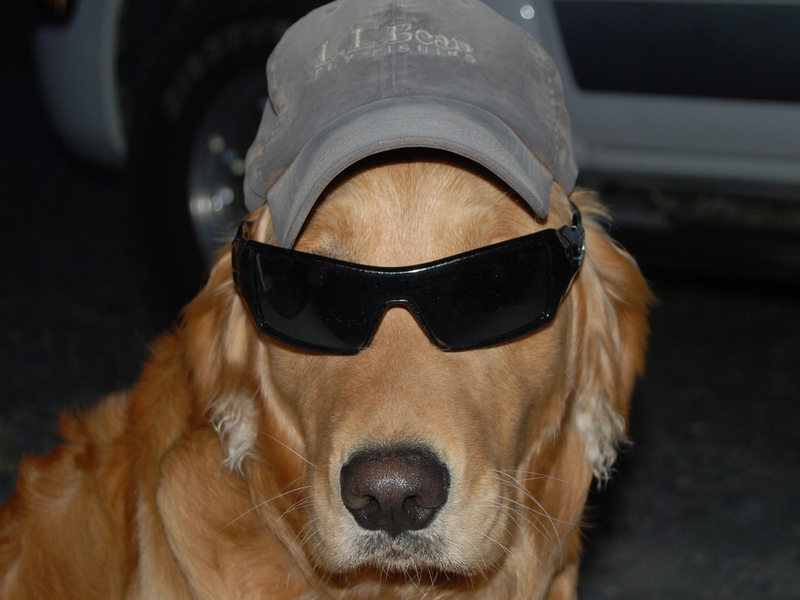 They keep thinking, “What if I was using this…” Stick with what you know works until you catch fish. After that, then branch out on techniques. Have faith in what you’re using. 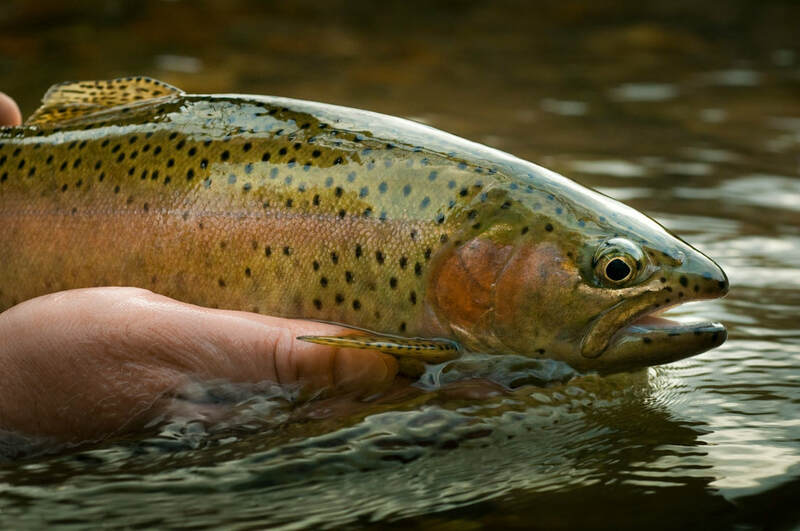 Time of day – Time of the day makes a big difference for Trout and Steelhead fishing. Both Trout and Steelhead are a very skittish, spooky fish. First light in the morning, last light in the evening, and night time offer the best times of the day to fish for these. These fish feel secure during low light periods and that is the best time to catch them. Middle of the day, in the sunshine is comfortable to anglers but not a good time to catch trout. 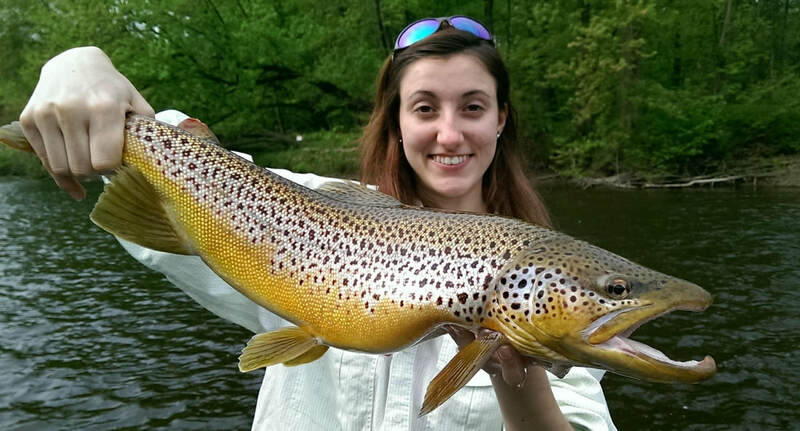 You may also check out our Trout Fishing Report for the Muskegon and Manistee River. Hire a Fishing Guide – Hiring a fishing can set you way ahead of the learning curve. Guides have spent thousands of hours on the local waters that you intend to fish. They’ve spent countless hours learning the intricacies of that river or stream and know it like the back of their hand. They can save you a lot of time and effect on learning the area, and how to catch trout. There’s always some local tricks or techniques that are not public knowledge. Fishing guides usually have the inside scoop for catching fish in their area. Give it a shot, you might be surprised! All the essentials and equipment mentioned above are crucial for any Michigan trout Fishing adventure or while getting ready for a fishing trip. 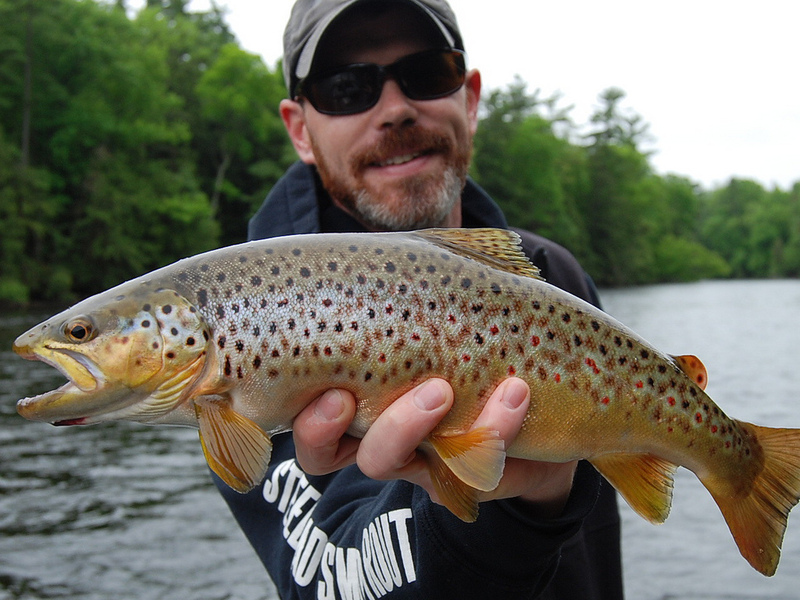 If you are looking out for some guidance to catch some trophy fish, booking Betts Guide Service is a great idea. 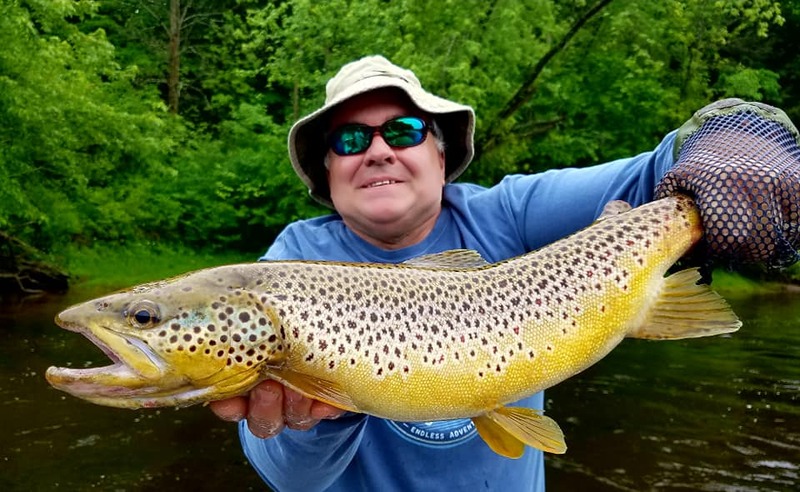 Our guide staff will help you on everything from Michigan trout fishing to hotels, fly fishing, spin fishing, boats, eco-nature tours, when to fish, guided trips, rivers of Michigan and more. To know more about our services, call us on (231) 519-7348 or fill our contact us page. 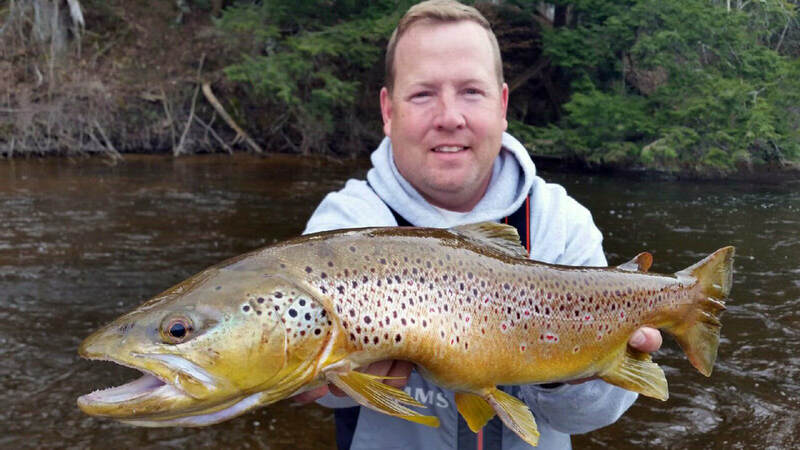 Quality Trophy Brown Trout fishing on the Muskegon River. 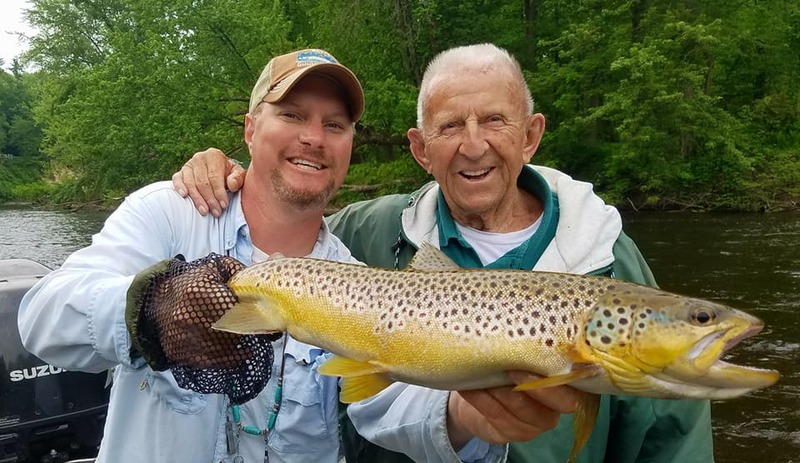 Michigan Trout fishing has always been a passion of mine, whether the Big Manistee or the Muskegon River, Michigan offers world class trout fishing! Over all, there seems to be four seasons of trout fishing. The first one that comes to mind for most anglers is summer time dry fly fishing. May fly hatches are big on the Muskegon & Manistee Rivers during May, June, and July. Isonychia, Hex, and Gray Drakes are the best hatches during early summer. Caddis is also another very consistent hatch, especially on the Muskegon River. Caddis emergence happen every evening during July and august, offering outstanding trout fishing. Another great technique for catching trophy trout during the summer months is casting jerkbaits. Typically a bass technique, it has been transformed into a top producing way to catch trophy Brown Trout. Rainbow trout, Steelhead, and big Brown trout all love crankbaits! Rapala Shad rap is one of my favorites, Husky jerk, and rattlin Rogues all fish very well for trout. Try downsizing your lures a bit for trout. 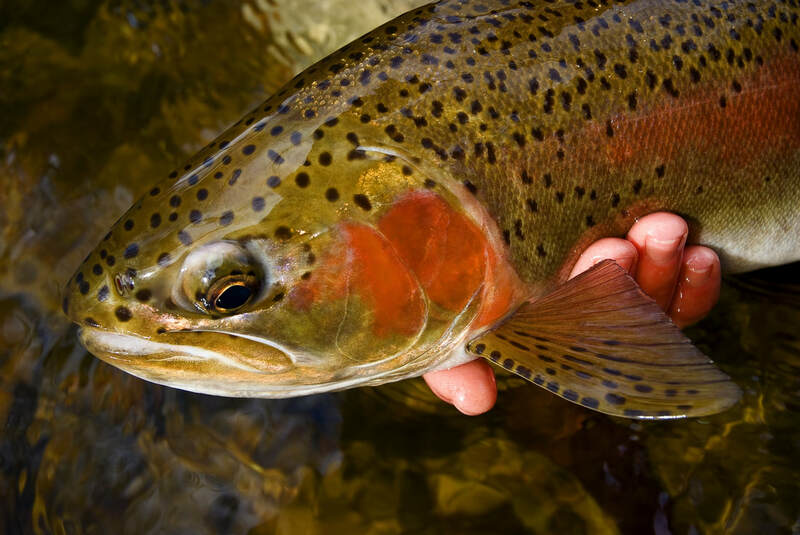 During the fall months, eggs are key for trout. Trout beads in natural colors seem to work best. Egg patterns of any sort usually work well, they represent salmon roe. Trout key in on salmon eggs during the fall months as a major food source. 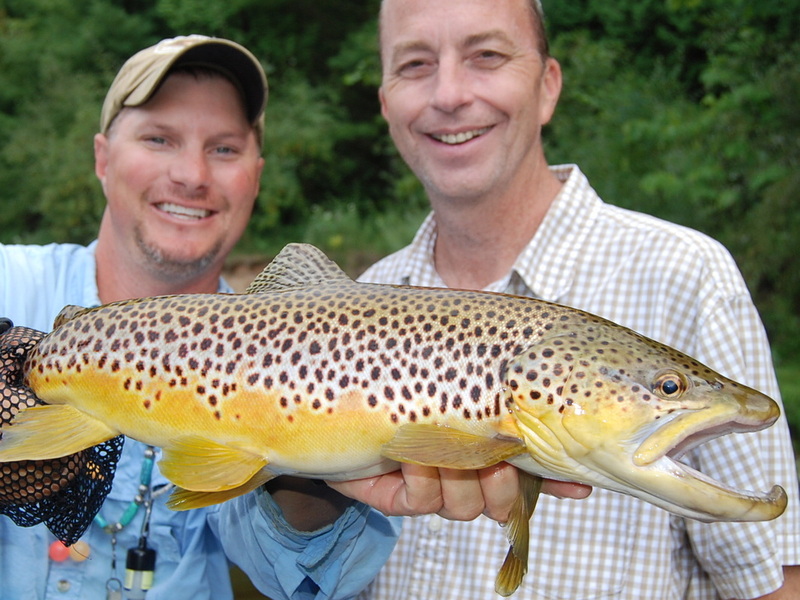 Brown trout also spawn during November and December. Bead fishing continues throughout the winter months. 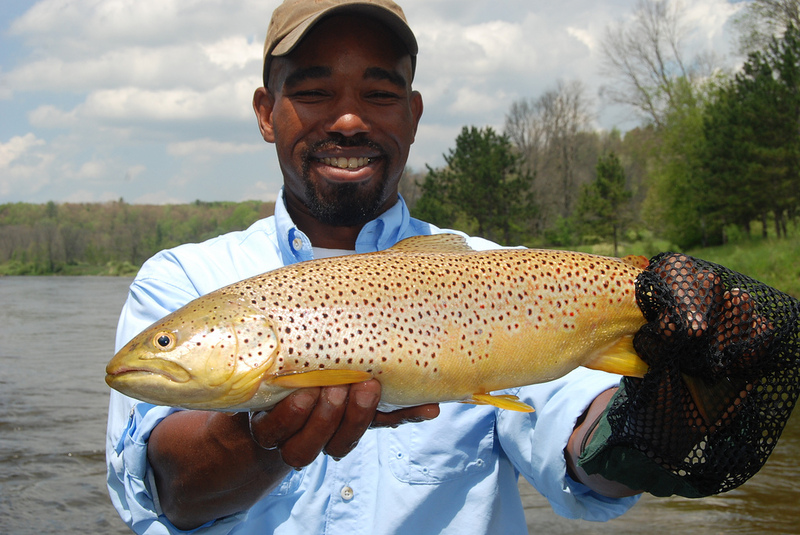 March and April brings the major spawning for resident Brown and Rainbow trout in Michigan. 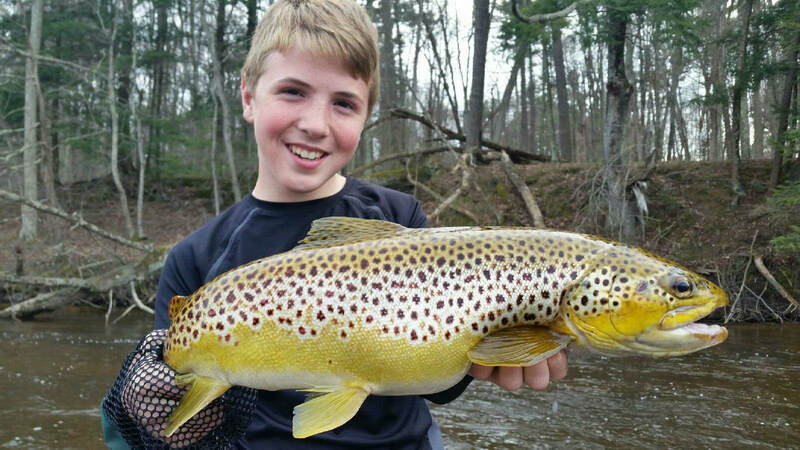 Some of the best Michigan Trout fishing can be had during March and April. Trout gorge on Steelhead eggs this time of year. Another major food source for trout, are stoneflies. Small black Michigan stoneflies are an easy meal for trout in March. 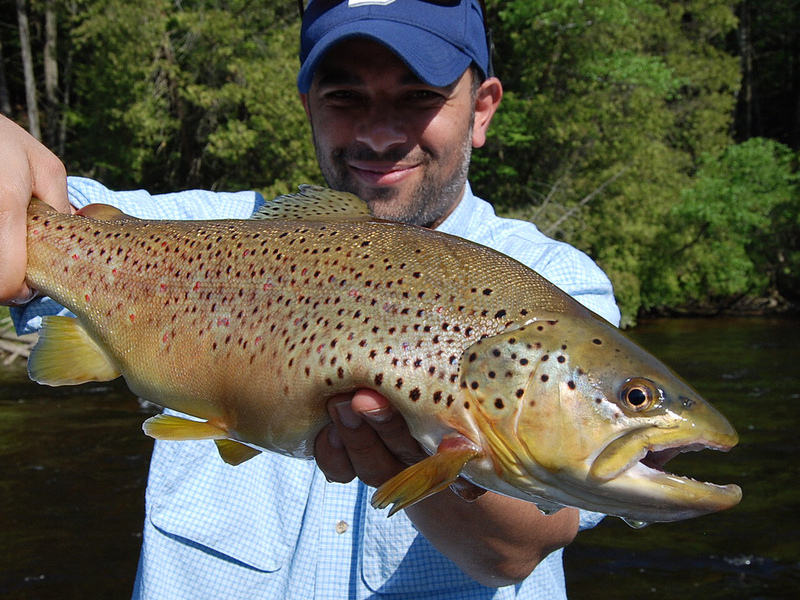 We guide for Michigan Trout fishing year around on the Muskegon, Pere Marquette, and Big Manistee Rivers.